Yo! 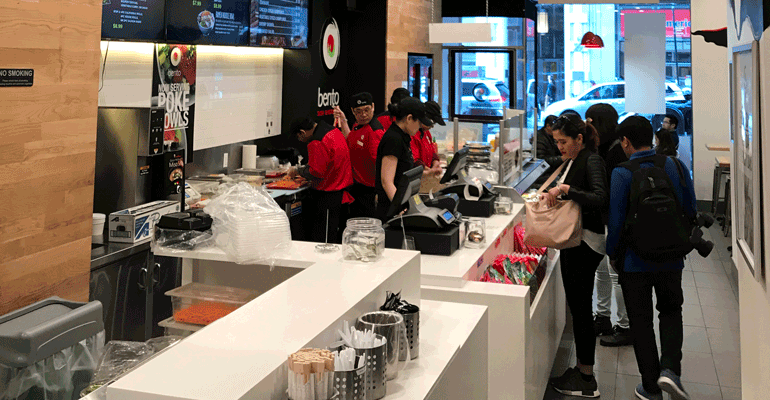 Sushi, a London-based conveyor-belt sushi chain owned by investment firm Mayfair Equity Partners, has purchased Bento Sushi, North America’s second largest sushi company, for CA$100 million, around $78 million, the companies said Monday. As part of the agreement, Bento Sushi founder and chairman Ken Valvur and CEO Glenn Brown will join Yo! Sushi’s board “and become significant shareholders in the combined group,” a press release announcing the merger said. 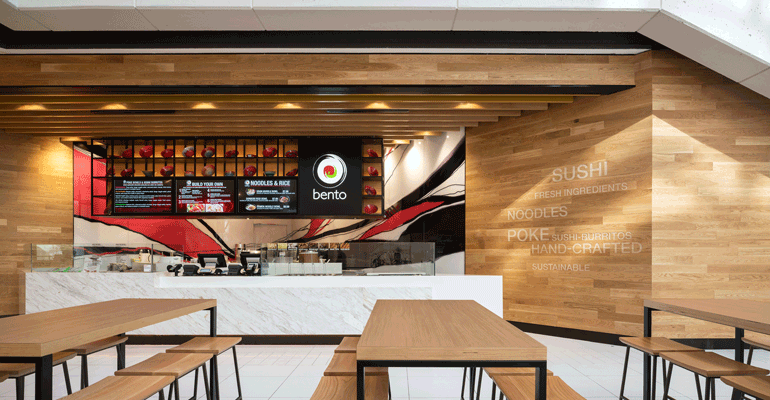 Bento Sushi operates more than 600 locations, mostly in Canada but with some in the United States, in various formats, including quick-service restaurants and kiosks in supermarkets. It also supplies sushi to an additional 1,700 sites, including supermarkets and non-commercial operations. The largest North American sushi company, Advanced Fish Concepts, franchises more than 4,000 counter-service sushi locations in North America and Australia. Yo! Sushi operates 81 locations and franchises an additional 16. Most of its restaurants are in the United Kingdom, but it also operates in the United States, continental Europe, the Middle East and Australia. Within the past 18 months it opened its first locations in New York City, Paris and Sydney. Yo! Sushi CEO Robin Rowland said: “This acquisition takes Yo! into the next stage of its development and creates the first global multi-channel Japanese food purveyor. Bento’s proposition and its management team’s strong track record make it the ideal partner for Yo! as we look to further grow our brand. Brown and Valvur both said the purchase of their company provided opportunity for expansion. “This partnership presents Bento with an incredible opportunity to grow its platform,” Brown said. “Yo! and Bento share a similar ethos and history, and we look forward to working with the Yo! team and taking advantage of opportunities to develop both brands. 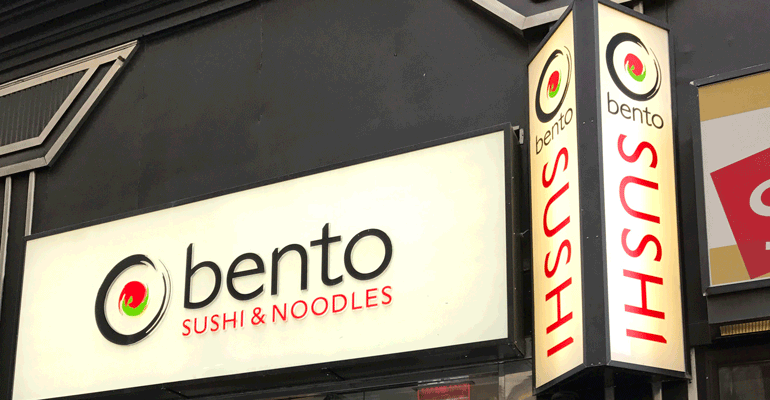 Bento Sushi was founded in 1996 and Yo! Sushi was founded in 1997. In their corporate messaging, both companies emphasize the importance of sustainable seafood. “The combination of Yo! and Bento will further enhance our group’s ability to be the partner of choice for grocery and institutional food service providers throughout our enlarged operating geography, and creates exciting opportunities for our valued team members on both sides of the Atlantic,” Valvur said. Mayfair Equity Partners also are investors in Ovo Energy, Fox International, Tour Partner Group, Talon Outdoor, SuperAwesome and Promise Gluten Free.